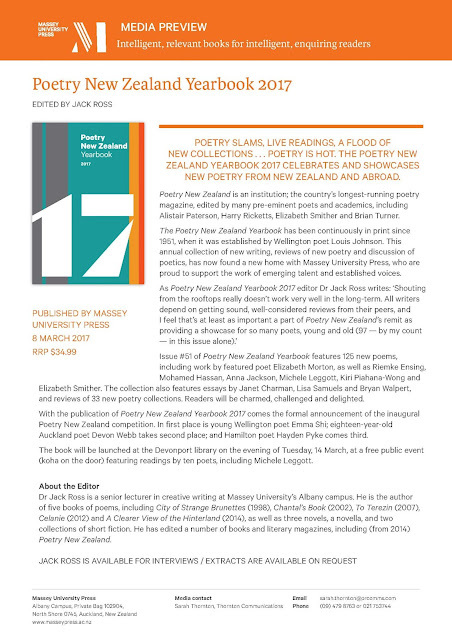 Poetry New Zealand Yearbook 2017. ISBN 978-0-9941363-5-0. 352 pp. Ron Riddell. Dance of Blue Dragonflies. ISBN 978-0-473-33974-6. Auckland: Printable Reality, 2016. RRP $25. 76 pp. Barry Southam. 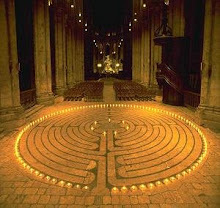 Exits and Entrances: Stories and Poems. ISBN 978-0-9941295-9-8. Nelson: Copy Press Books, 2016. RRP $19.95. 136 pp. 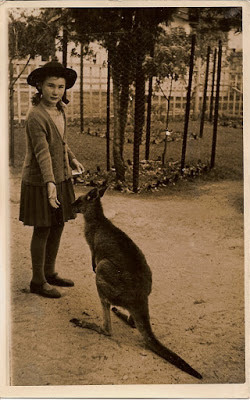 MaryJane Thomson. Lonely Earth. ISBN 978-0-473-33973-9. Wellington: HeadworX, 2015. RRP $30. 90 pp. Jessica L. Wilkinson. Suite for Percy Grainger: A Biography. ISBN 978-1-922181-20-6. Sydney: Vagabond Press, 2014. RRP AU$25. 136 pp. Helen Jacobs. Withstanding. ISBN 978-0-9941172-8-1. Hoopla Series. Wellington: Mākaro Press, 2016. RRP $25. 58 pp. Heidi North-Bailey. Possibility of Flight. ISBN 978-0-9941299-2-5. Submarine Poetry. Wellington: Mākaro Press, 2015. RRP $25. 76 pp. Keith Westwater. Felt Intensity. ISBN 978-0-9941299-1-8. Submarine Poetry. Wellington: Mākaro Press, 2015. RRP $25. 76 pp. Ken Canning — Burraga Gutya. Yimbama. ISBN 978-1-922181-43-5. Sydney: Vagabond Press, 2015. RRP AU$25. 97 pp. Sudesh Mishra. The Lives of Coat Hangers. ISBN 978-1-927322-37-6. Dunedin: Otago University Press, 2016. RRP $25. 100 pp. Raewyn Alexander. Our Mother Flew Unassisted. ISBN 978-0-473-26666-0. Auckland: Brightspark Books, 2016. RRP $22. 64 pp. Chris Price. Beside Herself. ISBN 978-1-86940-846-6. Auckland: Auckland University Press, 2016. RRP $24.99. 120 pp. Gregory Kan. This Paper Boat. ISBN 978-1-86940-845-9. Auckland: Auckland University Press, 2016. RRP $24.99. 84 pp. Michael O’Leary. Main Trunk Lines: Collected Railway Poems. ISBN 978-0-473-32917-4. Wellington: HeadworX, 2015. RRP $25. 80 pp. Vaughan Gunson. Big Love Songs. ISBN 978-0-473334-49-9. Whangarei: Vaughan Gunson, 2016. RRP $30. 50 pp. Nicholas Reid. Mirror World. ISBN 978-0-947493-10-3. Wellington: Steele Roberts Aotearoa, 2016. RRP $19.99. 83 pp. Pam Brown. Missing Up. ISBN 978-1-922181-50-3. Sydney: Vagabond Press, 2015. RRP AU$25. 160 pp. Harvey Molloy. Udon by the Remarkables. ISBN 978-0-9941172-9-8. Hoopla Series. Wellington: Mākaro Press, 2016. RRP $25. 78 pp. Nicholas Williamson. The Blue Outboard: New and Selected Poems. ISBN 978-0-473-32059-1. Port Chalmers: Black Doris Press, 2016. RRP $15. 93 pp. Antonios Papaspiropoulos. Poems from the George Wilder Cottage: A Poetry Cycle. Southbank, VIC: St Antoni Publishing, 2015. RRP AU$35. 72 pp. Cilla McQueen. In a Slant Light: A Poet’s Memoir. ISBN 978-1-877578-71-7. Dunedin: Otago University Press, 2016. RRP $35. 135 pp. Jen Crawford. Koel. Introduction by Divya Victor. ISBN 978-0-9942596-8-4. Melbourne: Cordite Books, 2016. xiv + 81 pp. RRP AU$20.00. Ken Bolton. London Journal London Poem, or ‘Pendant’. ISBN 978-1-922181-61-9. Sydney: Vagabond Press, 2015. RRP AU$20. 68 pp. Pete Carter. Buddy’s Brother. ISBN 978-0-9941299-0-1. Submarine Poetry. Wellington: Mākaro Press, 2015. RRP $30. 62 pp. Ish Doney. Where the fish grow. ISBN 978-0-9941237-1-8. Hoopla Series. 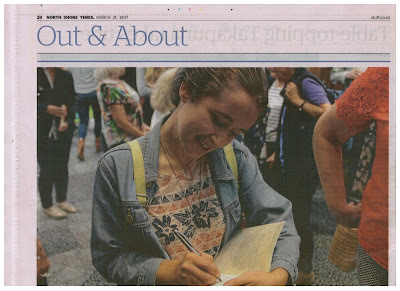 Wellington: Mākaro Press, 2016. RRP $25. 50 pp. Lynley Edmeades. As the Verb Tenses. ISBN 978-1-927322-25-3. Dunedin: Otago University Press, 2016. RRP $25. 64 pp. Tomaž Šalamun. Justice. 2012. Translated from the Slovenian by Michael Thomas Taren and Tomaž Šalamun. European Poetry. ISBN 978-1-922181-10-7. Sydney: Vagabond Press, 2013. RRP $AUS 25. 78 pp. brief 54: Love. Ed. Olivia Macassey. ISSN 1175-9313. Pokeno, Auckland: The Writers Group, 2016. RRP $20. 136 pp. John Dickson. Mister Hamilton. ISBN 978-1-86940-855-8. Auckland: Auckland University Press, 2016. RRP $24.99. 84 pp. Michael Harlow. Nothing for it but to sing. ISBN 978-1-927322-62-8. Dunedin: Otago University Press, 2016. RRP $25. 64 pp. IKA 4: Journal of Literature and Art. Ed. Anne Kennedy. ISSN 2253-5993. Manukau: MIT, 2016. RRP $27.99. vi + 146 pp. JAAM 33: Small Departures. Ed. Kiri Piahana-Wong and Rosetta Allan. ISSN 1173-633X. Wellington: JAAM Collective, 2015. RRP $25. 147 pp. Polina Kouzminova. An echo where you lie. ISBN 978-0-9941299-4-9. Submarine Poetry. Wellington: Mākaro Press, 2016. RRP $25. 47 pp. Frankie McMillan. My Mother and the Hungarians and Other Small Fictions. ISBN 978-1-927145-87-6. Christchurch: Canterbury University Press, 2016. RRP $25. 114 pp. 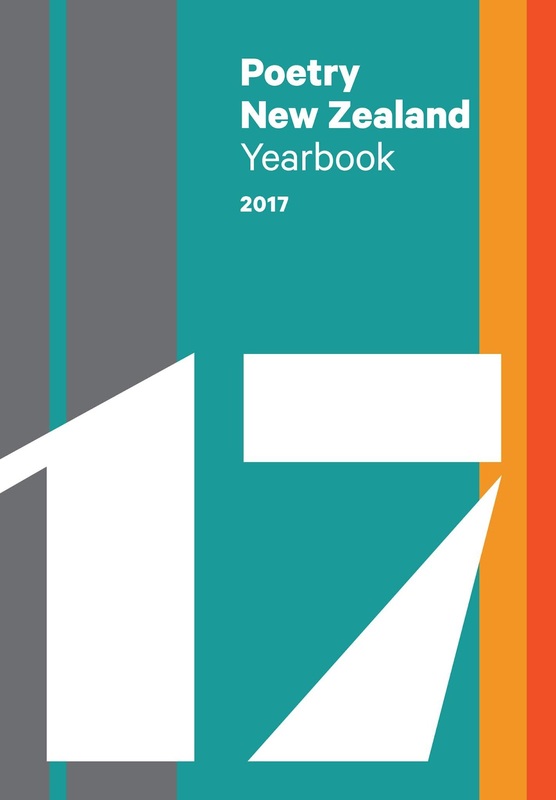 Nicholas Reid (13/12/16): I know I'm biased, because I edited PNZ a number of times "in its old format" as Jack always adds, but I believe it's the only place where such a broad range of Established Figures, mid-career-ers and newcomers all get a fair hearing and are not judged by the criteria of a clique. Liz Morton (18/1/17): Yes, so many terrific poets there! And a lovely, sharp, design. Very exciting! Siobhan Harvey (18/1/17): such wonderful array of poets also published in the journal. I adore the design. 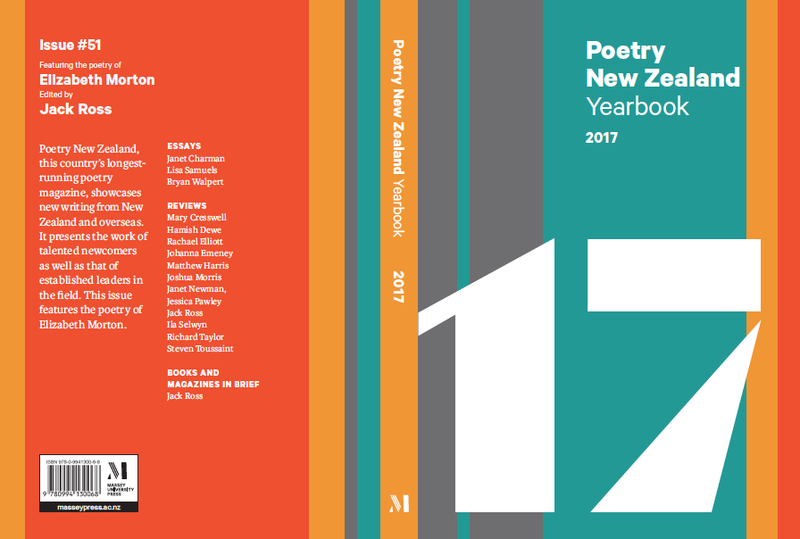 Michelle Elvy (18/1/17): Poetry NZ 2017 Yearbook, edited by Jack Ross! I so look forward to reading this. Congratulations to Liz Mortonius for her spotlight, and so many other fine poets -- too many to mention. See content listings. Huge offerings here, bound in one mighty book. Pam Brown (16/2/17): Congratulations Jack - a great yearbook. Liz Morton (8/3/17): hooray. it's here! well done jack ross and massey university press! wonderful pieces by the likes of olivia macassey, rata gordon, johanna emeney, emma shi, rata ingram, hayden pyke, kiri piahana-wong, michael steven ... many many more. the launch is happening at devonport library, tuesday 14, at 7:30pm. Heidi North-Bailey (12/3/17): A thrill to get this in the mail. Nice to see so many friends in here. Some new poems and bonus review of possibility of flight. Thanks Jack Ross! Richard Taylor (14/3/17): I read a few poems, some poems by the featured poet and the interview, Lisa Samuels' interesting essay, some book reviews. There is a lot in in it for sure. Richard Taylor (15/3/17): The essay by Janet Charman is revealing. It is a great, and an important essay. I had hardly heard of Jessie MacKay. I read the essay, then compared the 1956 anthology I had (by Chapman & Bennett) and MacKay is in there but was suppressed in A. Curnow's 1960 anthology. I go along with a lot said by Charman. Last night I hadn't finished reading it. But I recommend people to get PNZ Yearbook even for the great essays. Charman revealed that against Curnow who gives the nod to Domett, who basically started the Waitara conflict (but Curnow elides this), MacKay actually wrote a poem at the age of 16 (!) about Parihaka. She was concerned for women's rights to vote, even vivisection, the labour movement, alcoholism and much else. And she did about 5 books of poetry. Usiing his power as an editor he slowed down the reception of women's work. What WAS his contribution now we think about it? It would be nice to at least remember her and she is in the Encyclopedia of biography, but no thanks to Curnow. http://www.teara.govt.nz/en/biographies/2m15/mackay-jessie. POETRY SLAMS, LIVE READINGS, A FLOOD OF NEW COLLECTIONS . . . POETRY IS HOT. THE POETRY NEW ZEALAND YEARBOOK 2017 CELEBRATES AND SHOWCASES NEW POETRY FROM NEW ZEALAND AND ABROAD. 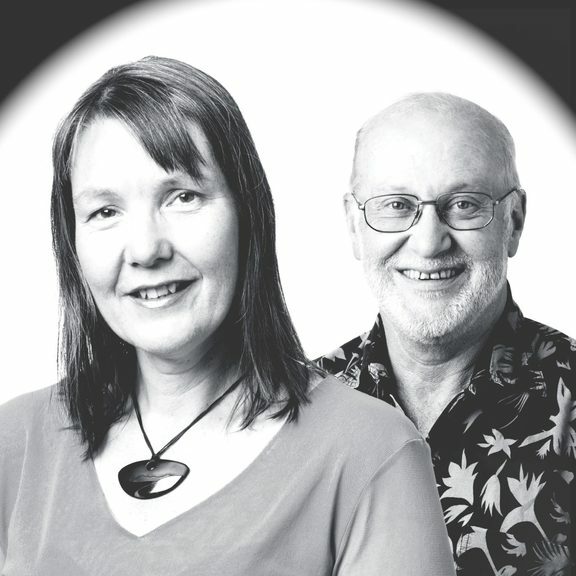 Poetry New Zealand is an institution; the country’s longest-running poetry magazine, edited by many pre-eminent poets and academics, including Alistair Paterson, Harry Ricketts, Elizabeth Smither and Brian Turner. The Poetry New Zealand Yearbook has been continuously in print since 1951, when it was established by Wellington poet Louis Johnson. This annual collection of new writing, reviews of new poetry and discussion of poetics, has now found a new home with Massey University Press, who are proud to support the work of emerging talent and established voices. 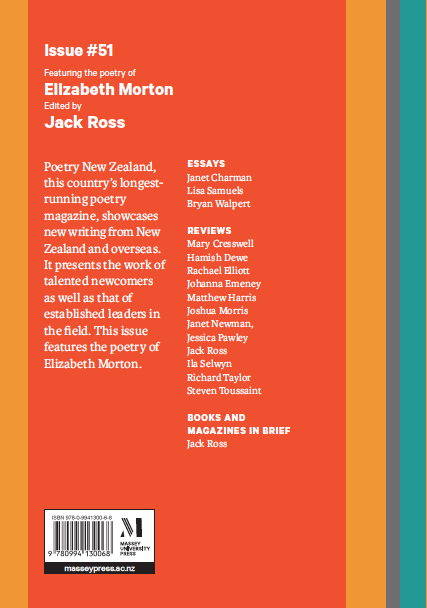 Issue #51 of Poetry New Zealand Yearbook features 125 new poems, including work by featured poet Elizabeth Morton, as well as Riemke Ensing, Mohamed Hassan, Anna Jackson, Michele Leggott, Kiri Piahana-Wong and Elizabeth Smither. The collection also features essays by Janet Charman, Lisa Samuels and Bryan Walpert, and reviews of 33 new poetry collections. Readers will be charmed, challenged and delighted. 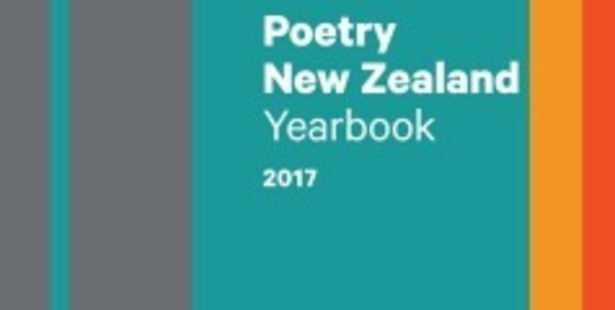 With the publication of Poetry New Zealand Yearbook 2017 comes the formal announcement of the inaugural Poetry New Zealand competition. In first place is young Wellington poet Emma Shi; eighteen-year-old Auckland poet Devon Webb takes second place; and Hamilton poet Hayden Pyke comes third. The book will be launched at the Devonport library on the evening of Tuesday, 14 March, at a free public event (koha on the door) featuring readings by ten poets, including Michele Leggott. 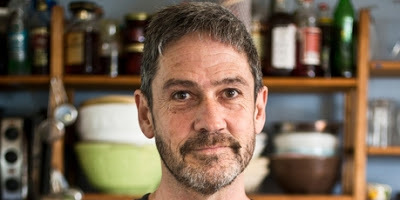 Dr Jack Ross is a senior lecturer in creative writing at Massey University’s Albany campus. He is the author of five books of poems, including City of Strange Brunettes (1998), Chantal’s Book (2002), To Terezin (2007), Celanie (2012) and A Clearer View of the Hinterland (2014), as well as three novels, a novella, and two collections of short fiction. He has edited a number of books and literary magazines, including (from 2014) Poetry New Zealand. Ross also maintains that those who want to get a point of view across, particularly political views, should write a poem. "People in power don't understand poetry. So the witty poem may be one of the last weapons we have left to puncture power." "The real world says poetry is a waste of their [young people's] time. But it's one of the few things that isn't wasting their time," he says. 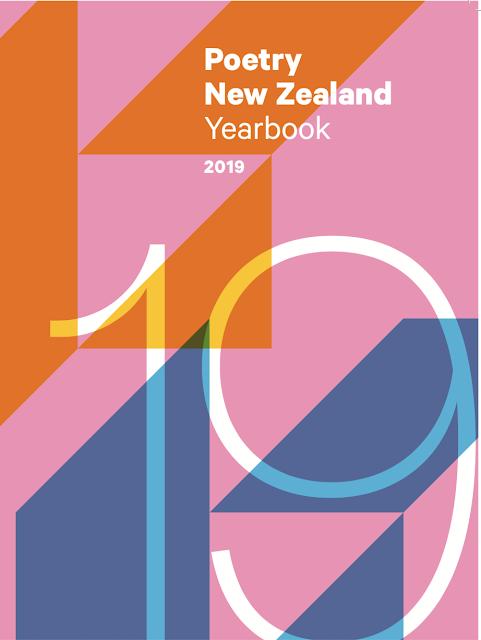 Young poets are out in force alongside established scribes in the latest Poetry New Zealand Yearbook, the 67th issue since 1951, and published for the first time by Massey University Press. Poet and managing editor Dr Jack Ross says the 352-page volume, launched this week – with 128 poems, as well as essays and reviews of 33 new poetry collections – includes many new, young poets writing “hard-hitting, honest, beautiful poems”. Paul Little, "Reviews: New Zealand Books". North & South (April 2017): 86. This belongs in the section of your bookcase you’ve set aside for quiet little miracles that we can only be grateful are still part of our literary life. The periodical published its 50th edition last year. You probably missed the newspaper features and the special edition of Seven Sharp – or, indeed, any recognition in this magazine. Here’s hoping the editor and contributors were invited to have a nice cup of tea with Minister of Arts, Culture and Heritage Maggie Barry. This year’s garden of poetic delights features the work of 97 poets and almost as many voices, themes and moods in a tightly formatted volume. Depending on how you calculate these things, at least three generations of poets are represented. There is work in te reo Maori and English. Contributors include venerable names such as Ensing, Leggott, Marshall and Smither, who take their place in the alphabetical queue with newcomers and mid-career poets. 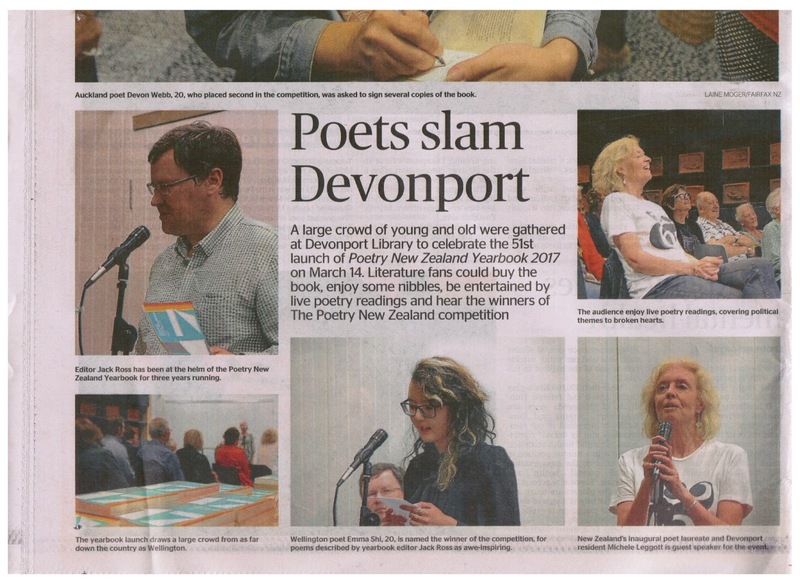 A poet laureate, authors, literature fans and publishers, all gathered at the Devonport Library to celebrate the launch of the 51st issue of Poetry New Zealand Yearbook (2017). A large crowd, a mix of young and old, gathered on the night of March 14 to purchase the book, enjoy some nibbles, and be entertained by live poetry readings. Professor Michele Leggott, New Zealand's inaugural poet laureate and Devonport resident, was the guest speaker. The launch also formally announced the Poetry New Zealand competition winners. Wellington poet Emma Shi, 20, was announced the overall winner and performed her poem live at the launch alongside Auckland poet and second place winner, Devon Webb, 20. Editor Jack Ross described the winner Emma Shi's poetry as awe-inspiring. "She appears to be one of the rare people who appears to have been born with a kind of poetic perfect pitch," Ross said. Hamilton poet Hayden Pyke came third, but was not able to attend on the night. Paula Green, "Room for Kiwi Poetry to Breathe.” Sunday Star-Times (19/3/17): E27. Wellington poet Louis Johnson established the New Zealand Poetry Yearbook in 1951. It has just received a well-deserved makeover by Massey University Press. The new design is eye-catching, the writing has room to breathe and the content is eclectic. With Victoria and Otago University Presses publishing Sport and Landfall, it is good to see a literary magazine finding a home in Auckland. 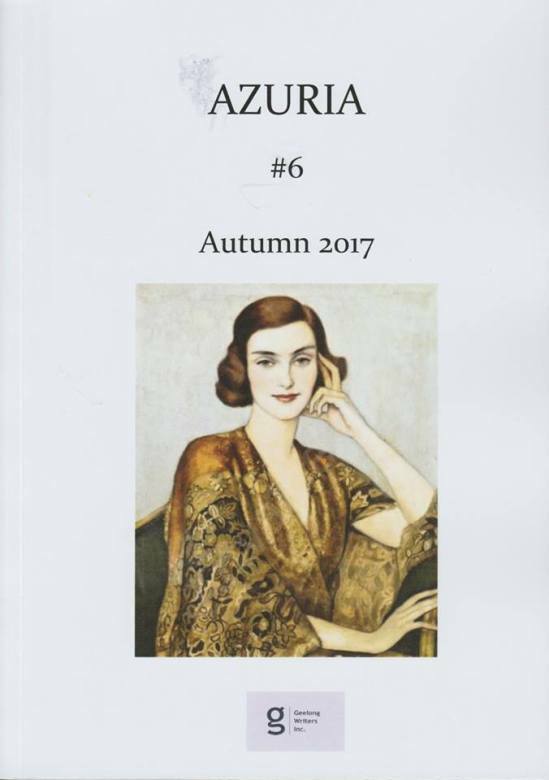 It is the only magazine that devotes sole attention to poetry and poetics, with an abundant measure of poems, reviews and essays. Editor Dr Jack Ross aims to spotlight emerging and established poets and include “sound, well-considered reviews”. There are just under 100 poets in the issue, including Nick Ascroft, Riemke Ensing, Elizabeth Smither, Anna Jackson, Michele Leggott and Kiri Piahana-Wong. The country's longest running poetry magazine has just put out issue 51, an impressive tally in anyone's book. Lynn Freeman spoke to Jack Ross who has edited Poetry New Zealand: Yearbook 2017, featuring new and well established writers. Jack has selected 125 new poems from hundreds submitted internationally, and supplemented them with essays and reviews by other writers keen to get people talking more about poetry. 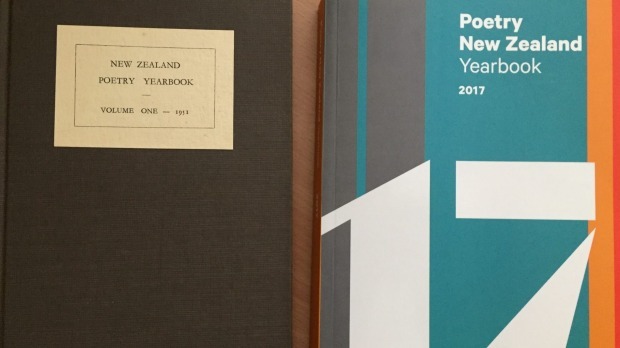 In its new incarnation, the Poetry New Zealand Yearbook is a poetic treat. Published annually (rather than biannually as it was under previous editor Alistair Paterson), the compendium of contemporary poetry extends to 350 pages of fabulous poems, essays and reviews. 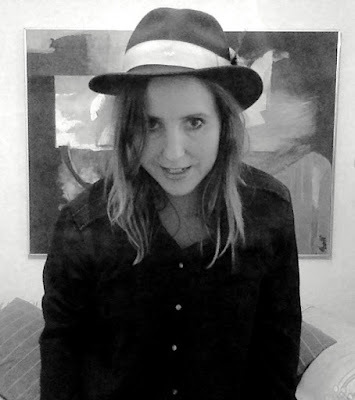 This time the featured poet is a rising star of local literature, Elizabeth Morton, winner of the 2013 Emerging Poets Competition, shortlisted for the 2015 Kathleen Grattan Award and about to have her first full collection, Wolf, published. The Yearbook handsomely showcases this startling new voice with 20 fresh poems and a full interview. Reading the poem "Reincarnation", you'll be blown away by Morton's magical wordcraft and imagery. Equally impressive offerings come from familiar poets such as Stu Bagby, Johanna Emeney, Sue Fitchett, Olivia Macassey and Michael Steven, as well as new names such as Iva Vemich. While Janet Charman, Lisa Samuels and Bryan Walpert offer a triptych of perceptive essays. The result is one of the best New Zealand literary journals around. 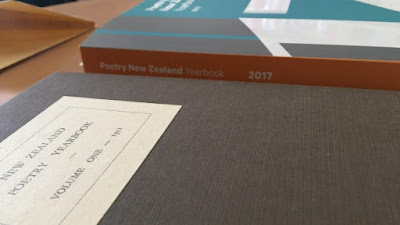 The best way to take the pulse and determine the health of poetry in New Zealand is to crack open the Poetry New Zealand Yearbook. It is proof that the art form is very much alive and vibrant in 2017. 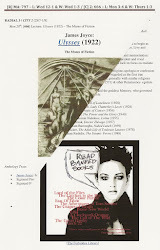 As the first issue through Massey University Press, the journal covers a lot of ground. 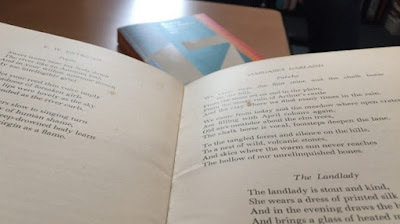 Since its inception in the 1950s, the journal continues to showcase poets of longstanding, such as Riemke Ensing, Michelle Leggott, Owen Marshall, Iain Britton and Elizabeth Smither, while introducing readers to younger, emerging poets, such as Devon Webb, Callum Stembridge and Harriet Beth. ... In 2017, the journal celebrates and promotes the work of women poets, both through featuring their work and discussing their books in the review section. ... This collection offers jumping off points for anyone, no matter your poetic inclination. Not one to be raced through, each reading brings a fresh new image, ‘when you least expect … a dull ache in the memory (When you least expect) … has the / power to flatten me.’ (Lithium). A journalist recently wrote that the very idea of poetry is seen as somewhat unmanly – it's all about feelings … the ultimate purple prose! Wrong. It's not prose at all, and that's the point. 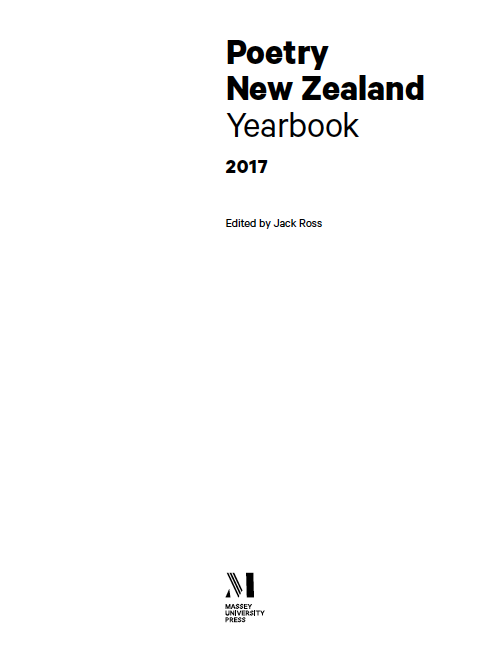 Also, what does that say about the Poetry New Zealand Yearbook here, where almost half of the many contributors are male? It may also be that poetry mainly sells only to other poets – in which case the inclusion of so many in this edition is probably a good idea. Edited by Jack Ross, the selection favours new and emerging writers. This is brave and generous because the reader is left to decide for themselves what is worthwhile. Having repeatedly dipped into the contents, I found myself thinking it was all a bit 'top heavy'. I mean, it's all very good but it is rather literary. There are some truly weird and wonderful lines here but the whole thing would have a wider appeal if there were some slam, some Banksy style equivalent of the message. Poetry is capable of this but the first thing to get right is to get a wider audience to actually read it. This selection is definitely worth owning, everything here has merit. It is a collection worth dipping into when you are looking for inspiration. Edward Reilly, "Book Review: Poetry New Zealand Yearbook 2017." Azuria #6 (Autumn 2017): 107-08. 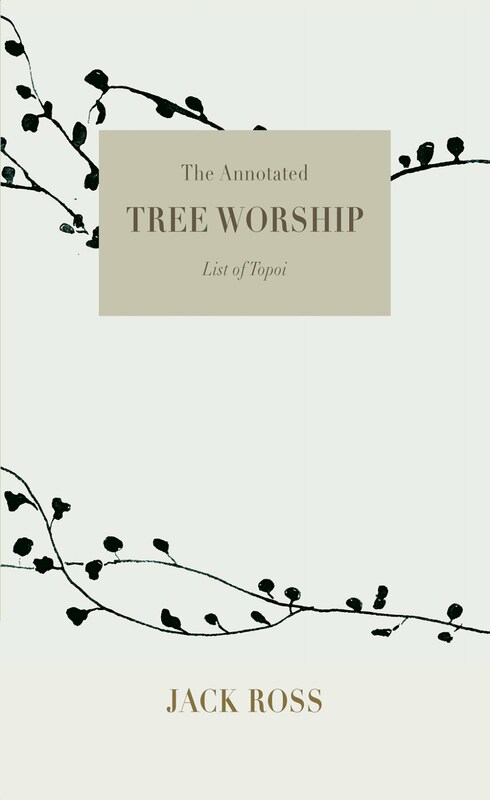 Edited by Dr. Jack Ross for Poetry New Zealand, this collection presents a diverse mix of established and new writers, from New Zealand and overseas. Poetry, essays and reviews all contribute to an interesting reading list. In particular, I enjoyed 'Untitled' by Courtney Speedy, for both its length and her strong voice. Likewise, Tony Beyer's 'After Hesiod' struck me as having gone deep into his land's roots, emulating the Greek Poet's appreciation of the essentials of a farmer's life, and reminding me of Heaney in its directness, tonality and wording. Then there's Chris Parson's 'A Song of Ian Paisley', which had a visceral effect on me. The woman's plaintive whispering, 'what took you so long Ian Paisley', is an effective comment on the manufactured Troubles in Ulster, for having dragged on too long. Now, there's a resolution in sight, strangely through the Brexit, whereby a reunited Ireland can put aside the horrors of the past and its people can face the future together, without rancour. Janet Charman's essay 'A piece of why' introduced me to the life and work of the poet Allen Curnow (1911-2001) whose complexity is attractive, being at once tough-minded and also deeply reflective of the condition of being a New Zealander. It's a pity his work is not better known in this country. 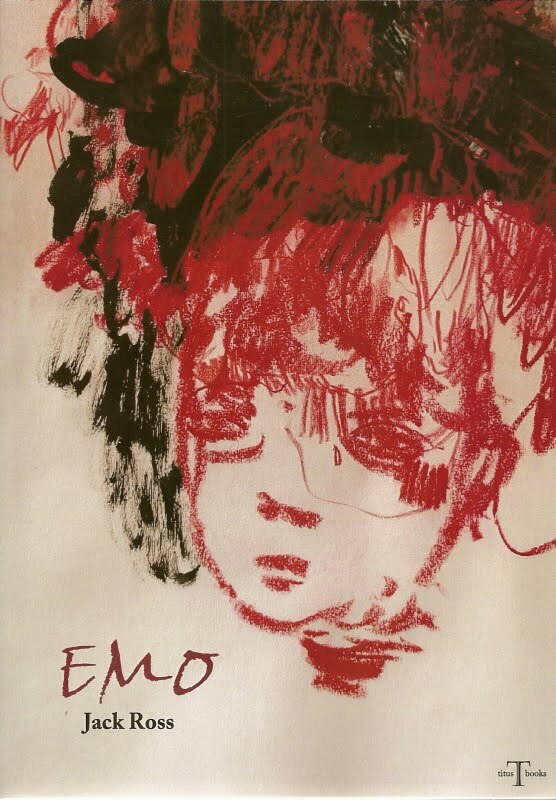 Overall, this collection serves as a very useful introduction to contemporary poetic practice in a neighbouring country, about which we know so little and yet are ready enough to joke about, albeit in a fraternal way. But that's the rub. Like cousins, we follow our own paths, occasionally meet, exchange news and leave it at that. A pity, because there's more across the Ditch than sheep, hakas and saunas. Harry Ricketts reviews 'The New Zealand Poetry Year Book'. Published by Massey University Press. This year’s garden of poetic delights features the work of 97 poets and almost as many voices, themes and moods in a tightly formatted volume. Depending on how you calculate these things, at least three generations of poets are represented. There is work in te reo Maori and English. Contributors include venerable names such as Ensing, Leggott, Marshall and Smither, who take their place in the alphabetical queue with newcomers and mid-career poets. Few poems are more than a page long – needs must when space is constrained. 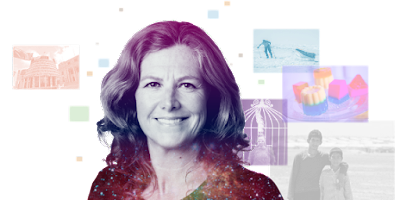 This year’s featured poet is Liz Morton, a real page-turner of a poet whose “Googling Refugees” combines the personal and political with a pitch-perfect combination of fury and sorrow. But the most remarked-upon feature of the book is likely to be Janet Charman’s provocative psychoanalysis of Allen Curnow, focusing on his hostility to women poets as part of a wider examination of his critical misogyny and its legacy. Non-participation in World War II and a determination to rid poetry of a taint of feminisation, says Charman, led a generation of men to over-react in claiming poetry as a masculine activity. Increasingly today, poetry is a virtuous circle of folks reading and writing for each other and a few outside their immediate circles. The idea of a return to mainstream enthusiasm for poetry – which was probably never that great but certainly greater than now – is hardly plausible, but that shouldn’t discourage efforts, such as this book, to bring it about.